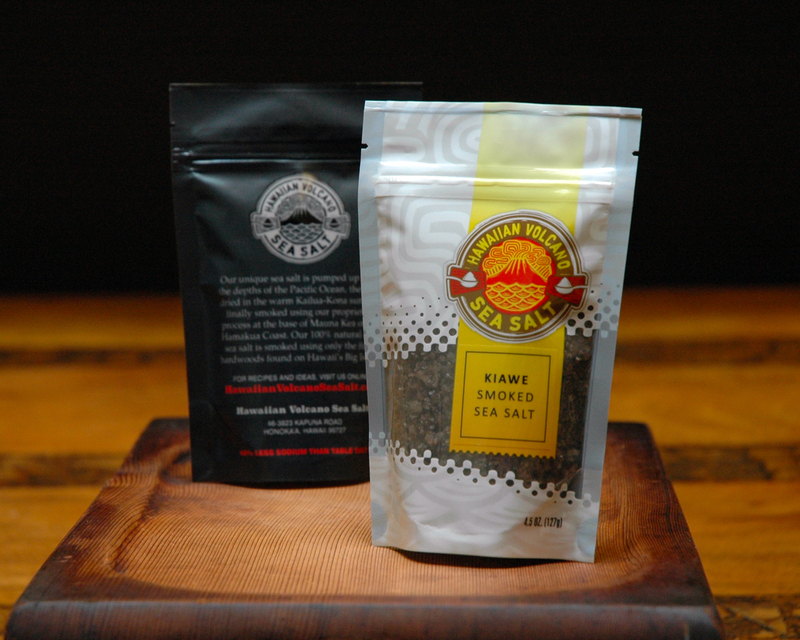 Kiawe Smoked Sea Salt from Hawaii's Big Island. Kiawe (pronounced [Kee-ah-vey]) is a thorny, brushy tree similar to a Texas mesquite, native to South America and widely naturalized in Hawaii. 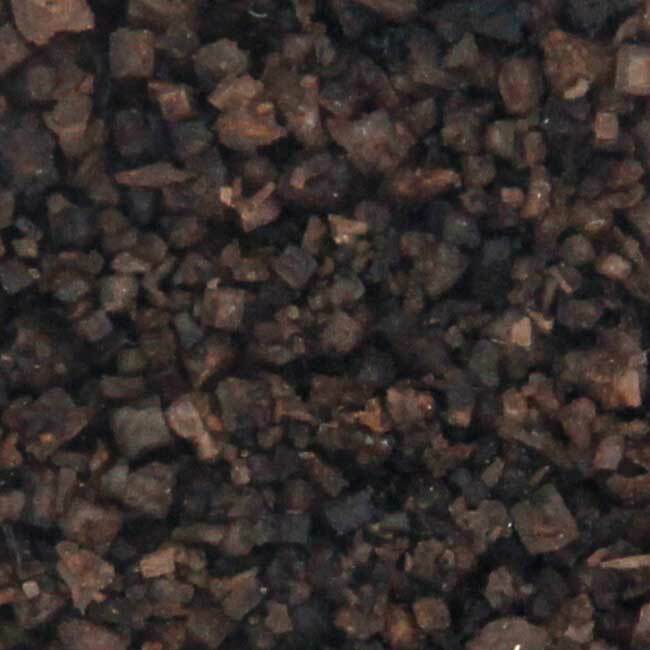 This dense wood gives the salt a bold and rich smoky flavor. The salt is transformed into a very dark iridescent ebony color. The Kiawe is amazing. The aroma hits you as soon as you tear the plastic seal off. I know this sounds crazy, but I have been sucking on small pieces right out of the bag. God’s honest truth, it is the best salt I have ever had. 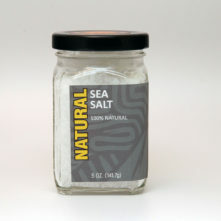 I am a sea salt fanatic, but this is so much better. I know what the website says, but how do you feel the other two compare to the Kiawe? Made it back to Florida with two bags each of the smoked salt and my first mission was to purchase a grinder dedicated to Hawaiian Volcano Smoked Sea Salt. 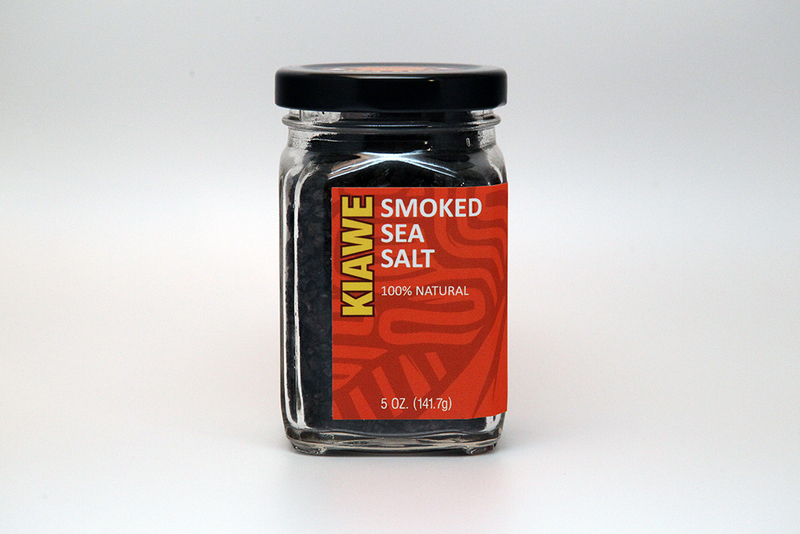 I am big fan of smoky, so I think I prefer the Kiawe for its bolder, smoky flavor. It goes great on just about everything! I donʻt eat bacon anymore, so I just sprinkled this salt on my egg sandwich and it gave it that yummy bacon flavor that I miss. It gives hummus an extra boost, too. I cant wait to try it on everything! Mahalo for such an amazing product! The Kiawe salt is AMAZING! 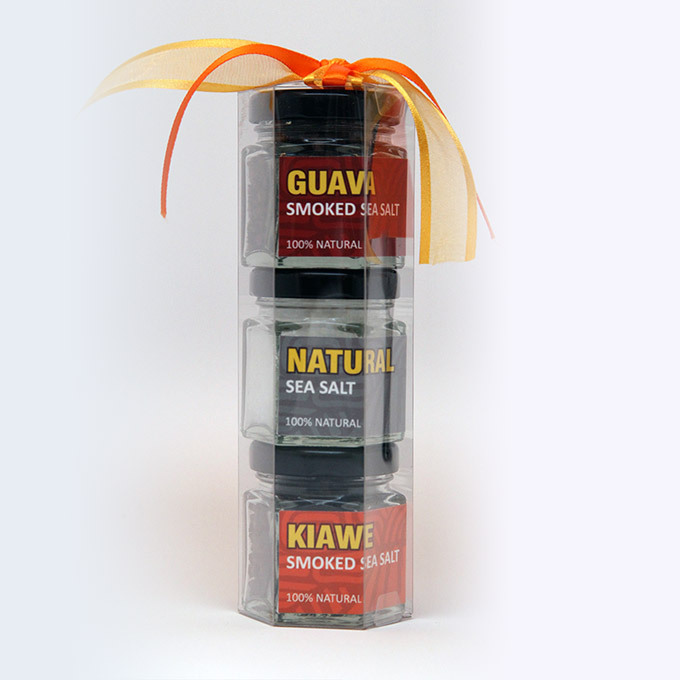 As a raw foods chef, it’s almost impossible to mimic the savory-smokey aroma of local cuisine–but the guava salt and especially the kiawe salt does the trick! The night before I was introduced to Hawaiian Volcano Sea Salt my wife had a dish at the Four Seasons Ulu Grill. The broth had this smokey flavor that elevated the dish 100 fold. 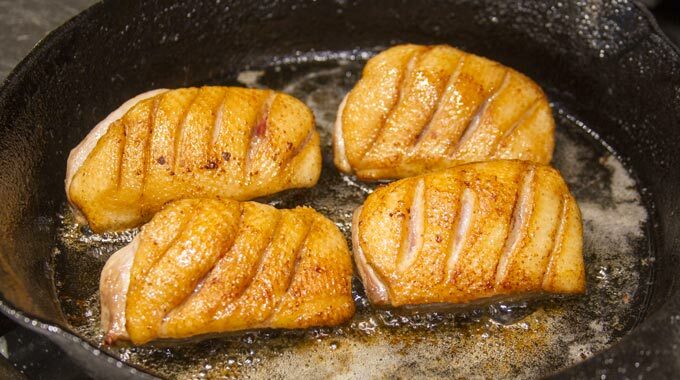 Being a amateur food critic and a backyard grill / smoker I can normally pinpoint the technique used to add smokey flavor to dishes and sauces. In this case I was not able to figure it out. I knew a source of smokiness was added to the broth, because the fish itself did not have the smokey flavor. I knew it was more than a liquid smoke product. 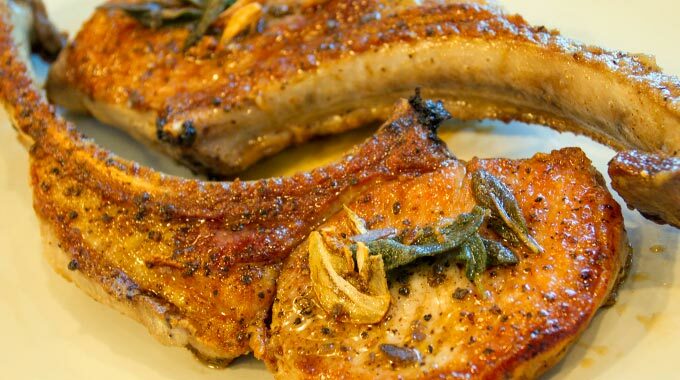 I felt the flavor came from a high quality source that was well crafted to maintain this succulent smokiness that was not over powering but yet enhanced and added sophistication to the dish. When I met Sam at the Farmers Market and took one smell of the Sea Salt, I knew that the Executive Chief at Ulu Grill got his hands on this product and is creating amazing dishes because of it. 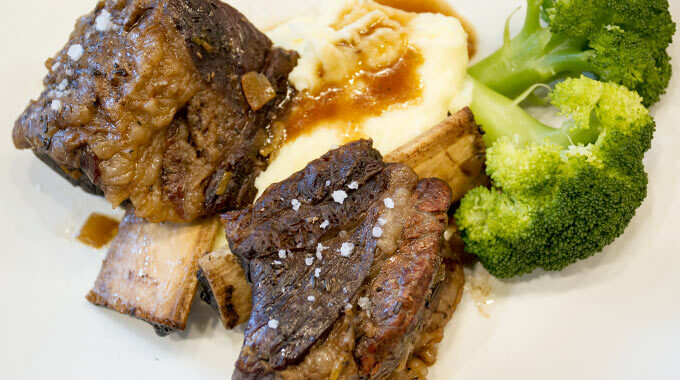 The restaurant prides themselves in using local ingredient. I look forward to return back to Colorado to create amazing new flavors because of this product. Not to chance missing out on the flavors I purchased all eight sea salts. 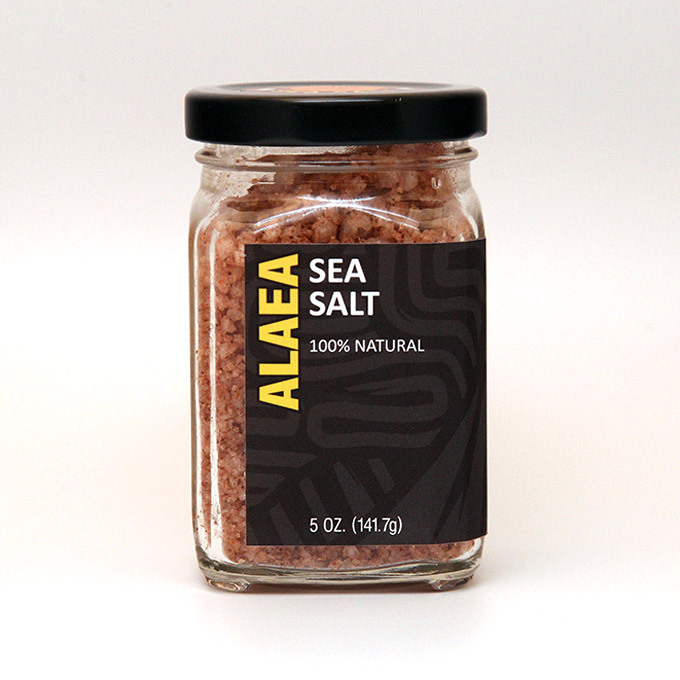 Hawaiian Volcano Sea Salts do for winter cooking what charcoal does for summer. I sprinkle the Kiawe on all kinds of meats that I pan grill to give them that mouth-watering mesquite smoked flavor achieved in the summer on our Weber. But it’s not just for winter! All year long I add it to garlic bread along with freshly ground pepper. I use it on oven roasted veggies like broccoli and it’s especially beautiful on roasted carrots, new potatoes, and cauliflower. My favorite use of Kiawe salt is on a chargrilled tenderloin to give it the fullest smokey flavor you can imagine. Another amazing taste sensation is to finely grind it over bruschetta or caprese salad. That touch of smoke will bring up the flavors of fresh tomato and mozzarella. It doesn’t take much because the smoke flavor is so full and rich! 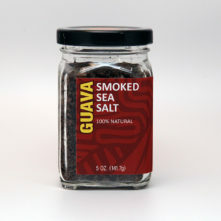 This is by far superior to any other smoked salt I’ve used.